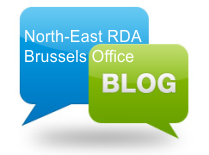 Promoting and increasing the visibility of the North-East RDA and North-East Region in the European Union. Creating a positive image for both the North-East RDA and the Region among the structures with Romanian representation in Brussels (technicians employed in the EC, MEPs, national representation structures and in particular by establishing a permanent relationship with the Romanian media). - Collaborations with other international donors. For more activities visit https www.facebook.com/NorthEastRomania. 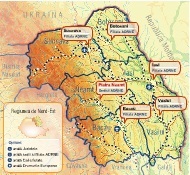 Established on February 8, 2010, the representation office of the North-East RDA and North-East Region in Brussels is a contact and communication platform at European level intended for fructifying the cooperation opportunities and consolidating the position of both the agency and the region in Europe. The representation office’s official launch event has been organized on May 5, 2011, at more than a year from the date it become operational, when the office was considered as reached a maturity level materialized by a large communication and relationship portfolio with both the European institutions and the other representation offices in Brussels as well. The event was attended by over 70 participants of which His Excellency Mr. Ovidiu Dranga, the Ambassador of Romania in the Kingdom of Belgium joined by Mr. Mugur Popovici, the commercial and economic attaché of the embassy. The Permanent Representation of Romania to EU was represented by His Excellency Mr. Cristian Badescu, deputy permanent representative, and Mr. Ion Serpe, counselor minister. Also the event was attended by Mrs. Aura Raducu, EU programme and policy manager, DG REGIO, Mr. Ovidiu Nahoi, editor in chief and coordinator of Adevarul Europa editorial in Brussels, Mrs. Mariana Delagreaca, department for missions of DGs, European Commission, other representatives of regional offices as well as Romanian and foreign collaborators together with a delegation of top management representatives from the North-East Regional Development Agency, Romania. During its introductory speech Mr. Cristian Badescu stated that it is very important that the efforts of the Permanent Representation of Romania along with the other existing Romanian institutions in Brussels to be supported by as many development regions in Romania as possible by establishing such representation offices in such a way as, through concerted efforts, Romania to be capable to bring even a higher contribution to the definition of future European policies including Europe 2020 strategy. The representatives of the North-East RDA made a brief review of the evolution and results achieved by the agency from its beginning up to date emphasizing on the results concerning funds absorption during both pre-accession and post-accession periods with specific focus on the objectives targeted on short and medium terms. Taking the advantage of the „Open Doors” event when, on May 7, 2011, all European institutions opened their doors for facilitating large public visiting, the North-East RDA Romania – Brussels Office organized a presentation stand in the building of the Committee of the Regions intended for promotion of the North-East Region of Romania. With the support of the local and county-level public administrations in the region, loads of information and promotion materials were available to the visitors. The event had a global audience of circa 7,000 visitors and was a special opportunity to be exploited for increasing the visibility and promoting the image of our region in this European capital. 49 regions from European member states had presentation stands during the event. Romania was represented by the North-East Region and Prahova County Council stands only. The stand of the North-East Region was visited by over 1,000 visitors among which worth mentioning His Excellency Mr. Ovidiu Dranga, the Ambassador of Romania in the Kingdom of Belgium, Laurent Thieule, communication director within the Committee of the Region, other officials from other European regions. The event coincided with "The Iris Day" (iris being the emblem of Brussels) and it was surprising to find that many of the visitors had the information and knowledge about our region, requiring specific materials for specific areas of the region. The most “requested” counties were - in order - Suceava (Bucovina), Neamt, Botosani and Iasi. The European Commission presented the new European Union budget proposal (Multiannual Financial Framework) for the next programming period 2014-2020.